The World Association of Buddhism (WBA) was founded to promote the development of Buddhist Spirituality throughout the world. WBA encourages both the practice and full analytic existential study of Buddhism in keeping with the teaching of Siddhartha Gautama and the revolutionary actions and trainings of the libertarian masters of meditation. Founded in Necochea on December 21, 2012, WBA endorses the intention expressed by Siddhartha Gautama in his Discourse of foundation of Buddhist Path and has adopted the principles contained in its Proposal of Buddha-Dharma-Sangha, which are foundational teachings on Psychology, Philosophy and Politics. To achieve its objectives, the World Association of Buddhism maintains close collaboration with Buddhist associations and schools all over the world. We aspire to ensure that Buddhism continues to flower around the globe, via direct transmission as well as through supporting the activities of our Official Representatives by publicizing the events and efforts of the member teachers and schools. The WBA strongly encourages the member schools to creating and offering Free Centers of meditative treatment being available to the entire society. At the same time, WBA promotes compassionate dialogue, unity and synthesis among all orthodox and heterodox schools of Buddhism. WBA cares about the state of Spirituality among all different peoples around the world, by promoting actions aimed at safeguarding the Wisdom of the great Free and Enlightened Beings (Arhats-Bodhisattvas) in the history of humanity. 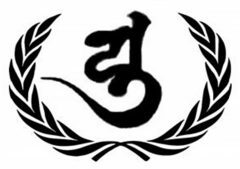 WBA is founding member of United Buddhist Nations Organization, with the Registration Number A052017. In a world in decline, in the margins of the materialistic civilization, Spirituality becomes a temple, a Shelter that protects Wisdom, a School of Life for the Humanity of the Future. Our Temple has the pleasure to be the First place in the whole world where it teaches the spiritual practice of Maitriyana Buddhism. In addition, we are a humble Non Governmental Organization (NGO) of Buddhist Social Action. The World Association of Buddhism has the Supreme Purpose (Dharma) of update Buddhism, making interreligious dialogues, organizing Councils and creating a new and more revolutionary vision of spirituality. The World Association of Buddhism is also interested in the therapeutic, philosophic and scientific application of meditation, so it establishes dialogue activities with Psychology, Philosophy, Arts and Science. The WBA intends to help humanity to achieve a world free of war, social injustice, ignorance, pollution. For this Purpose it develops political and social dialogue programs.